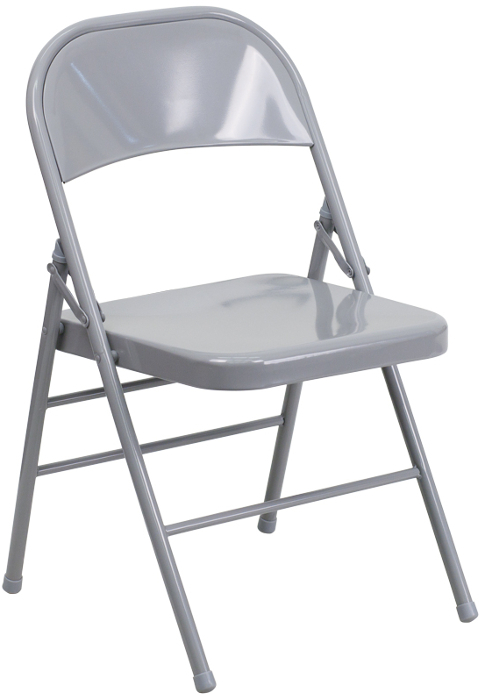 Heavy duty gray metal folding chair for banquets, weddings, events & more! This folding chair has a sleek powder coated gray finish. The triple braced frame will hold up to the high volume use of commercial events.